Greater comfort in everyday life: the Chamuera HS Hooded Jacket Men will be a useful companion thanks to its weather resistance and practical features. A chance to experience the windproof and waterproof 2-layer Mammut DRYtechnology material. 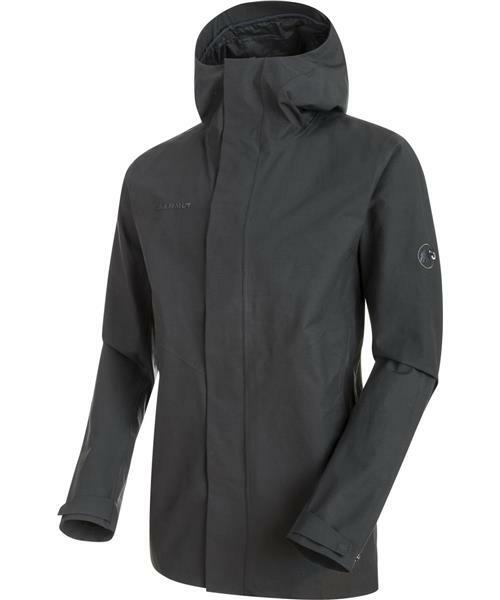 The jacket's external and internal pockets offer a wide range of options for storing essential items close to your body. They are big enough to hold a wallet and cellphone, and there is even an integrated inner pocket with a multimedia outlet for your earphones. The hem and cuffs can be tailored to your needs and individually adjusted. The understated tone-on-tone design is ideal for every situation in everyday life. A jacket with a feel-good factor that can stand up to wind and weather!